John Hill is a comedy writer author script editor of theatre plays, sitcoms radio TV, stage revues film shorts, screenplays novels and film. has been replaced by *at*, please restore the @ to reply. I'm a writer specializing in comedy and have written plays, sitcoms, novels and screenplays. I’ve also done some script editing and am part of a US-style writers room. I was short-listed for a Channel 4 comedy drama award, long-listed for a BAFTA Rocliffe New Writing Forum, and have been twice long-listed for the Kenneth Branagh New Drama Writing Award. I have IMDB credits for two episodes of a sitcom, I have twice won the annual Player Playwrights award for best comedy, and my Edinburgh and Camden Fringe debuts received several 4 and 5-star reviews. My first feature, Blood Match, came second in the Reddit Screenwriting Contest, and I was a finalist in Cascade Pictures' Writers’ Couch script development initiative. This month one of my plays won Best Comedy at the annual Player Playwrights awards. It’s always a nice surprise to win anything but it was a particular pleasure this year as the previous two years the award has been won by Laurence Marks and Maurice Gran, who wrote - among many other things - one my favourite sitcoms The New Statesman. One of my plays - Instructions Not Included - was in a summer festival of shorts organized by Get Over It Productions and ran from July 31 to August 4 at the Tabard Theatre in Chiswick. A 10-minute comedy called - Barbarians at the Gate - was part of another sell-out evening of new writing at the Sydenam Centre in south London produced by Spontaneous Productions in July. 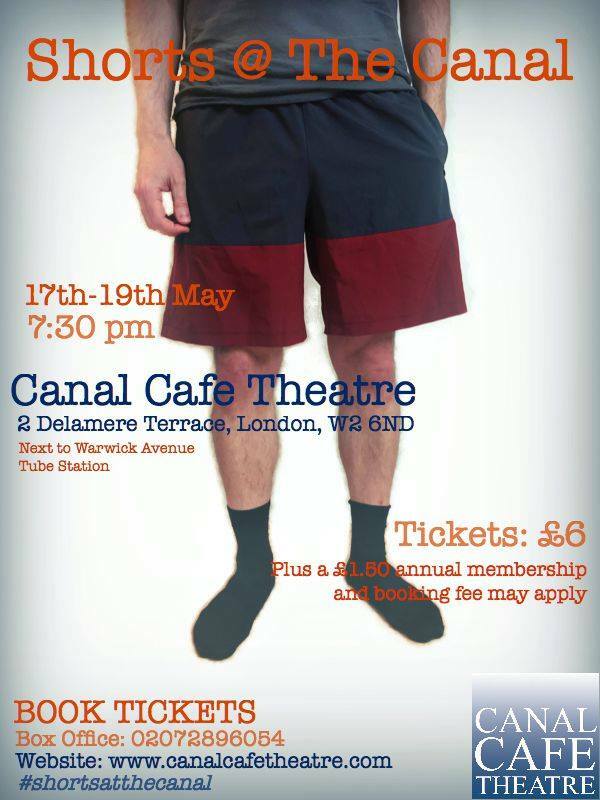 I was long-listed for this year's Kenneth Branagh New Drama Writing Award and, in May, a comedy called Accidently on Purpose was part of a three-night run of 10-minute plays called Shorts @ The Canal. 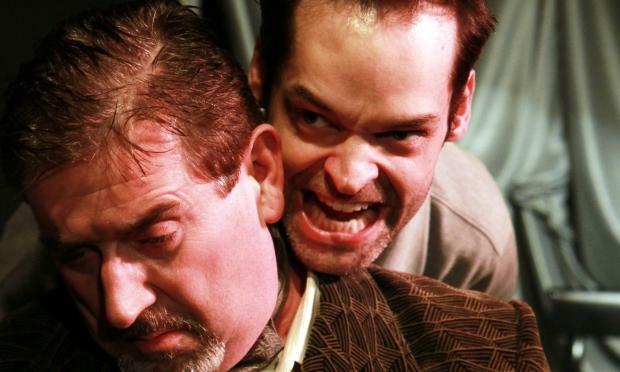 Love and Sudden Death - a comedy about adultery, revenge and the benefits of fully comprehensive insurance was part of a sold-out evening organized by Get Over It Productions in April. A comedy play called A Convenient Affair was selected for an evening of ten-minute plays about romance and heartbreak called Love Bites Again. The show was created by Spontaneous Productions and performed to a sell-out audience in February. A short play called Relative Fortunes was joint winner in the Soundwork UK Monologue Competition and made into an audio play produced by Neal Mason and performed by Nick Martin. You can listen to the recording here. Soundwork UK has since been taken over by AudioJam. 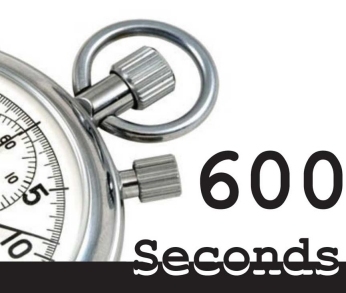 A short comedy play called Christmas Break was part of the 600 Seconds evening of new writing organized by Spontaneous Productions at the Sydenam Centre in south London. 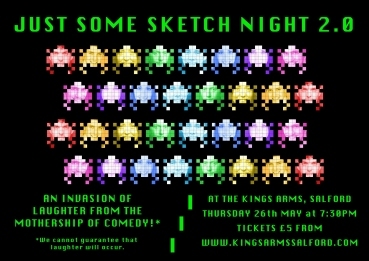 In April one of my short comedies - Thanks For Sharing - was part of an scratch evening of new writing organized by the Hidden Theatre Company at the Water Rats, a great comedy and music venue in Kings Cross. In August my Channel 4 shortlisted comedy - How Does That Make You Feel? - made its Camden Fringe debut. The week-long run was generously supported by Player Playwrights and thanks to our amazing cast and director the play received four 4-star reviews. "Had me grinning from start to finish... brilliant." "Hill writes outrageously funny plays." "Funny, modern and a greatly entertaining story." "This brilliantly written short play is well worth an hour of your time… Put together the sharp fire wit and wild claims of attempted murder and infidelity are almost reminiscent of Monty Python. 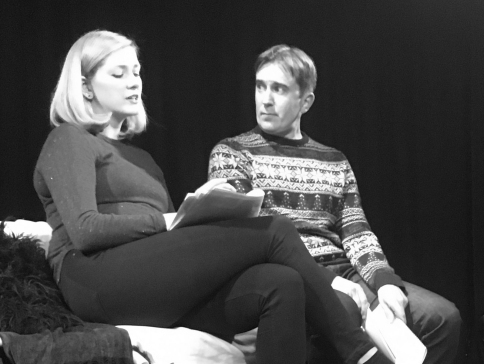 With only three in the cast and very little props it is a credit to the writing and acting to make this comedy so brilliant ...these crazy characters would be perfect in a sitcom but until then I highly recommend coming to see them interact in their counselling session." 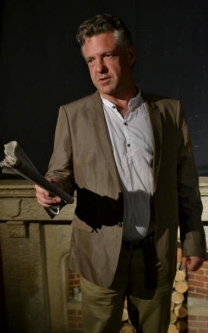 In February one of my plays, Going Commando, featured in Playground, a three-night new writing showcase at the Horse & Stables, and a one-act comedy called Healing with Words was part of the four-day Supernova VII one-act play festival in Havant. Going Commando featured in the January Leytonstone Itch scratch night at All You Read is Love, and one of my short screenplays is currently in post production. My first feature screenplay, Blood Match, a vampire comedy, came second in the Reddit Screenwriting Contest. At the Player Playwrights annual awards in December one of my plays won Best Comedy and another was runner up. This was an amazing surprise, especially as it's the first time this has happened in the group’s 67-year history. Player Playwrights did a reading of a comedy called We Need to Talk About Clive in November. Going Commando was in the August Late Bloom Festival organized by The Space; it was also shortlisted for Little Pieces of Gold. In June Player Playwrights did a reading of Chasing Beckett, a two-act black comedy as well as a one-act play in March. One of my shorts was the closing play of the Southend International Playwrights Festival, and joint winner in the Best Comedy category. The East End Literary Salon runs a series on new writing nights and performed one of my comedies, Instructions Not Included, in February; this play was also part of West Avenue's Briefs night at the Waterloo East Theatre in January. 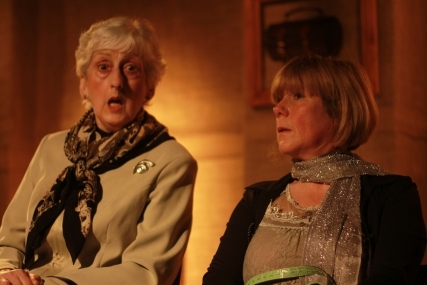 We Need to Talk About Clive was showcased by Fractured Lines Theatre in two of its Blaggards evenings in November. The company also debuted Instructions Not Included in September. I wrote the majority of an Edinburgh Festival Fringe show called Better Together? which TheCultDen rated 10/10. "The comedy is incredibly intelligent… and there are several genuine laugh out loud jokes. The whole show very much reminded me of Charlie Brooker's Black Mirror series... it's very, very well done. This is the ideal Fringe show - go and see it." A 10-minute film, Jersey Tails, was short-listed for the ArtsEd film project. Two of my comedies were shortlisted for the Congleton one-act play festival and one of them made the finals. Alternative Therapy was runner up in the Menagerie Theatre Company's one-page play competition at the Hotbed Festival of new writing in Cambridge. A longer version was given rehearsed readings by the N.W London Equity Branch - at the Pentameters Theatre and the Magdala - in May as part of their series of new play readings. 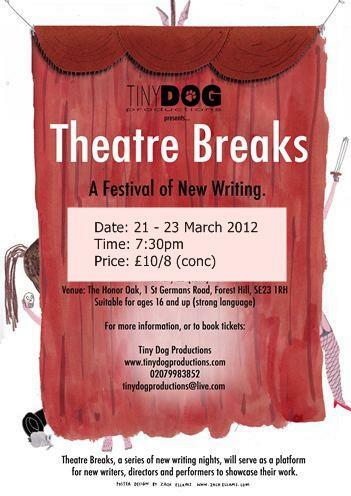 We Need To Talk About Clive featured in Tiny Dog Productions' ninth Theatre Breaks Festival of new writing at the White Bear, as well as West Avenue Briefs evening at the Rosemary Branch Theatre. I was a finalist in Cascade Pictures’ Writers’ Couch script development initiative; Player Playwrights did a reading of Exit Strategy, one of my full-length plays; and We Need to Talk About Clive was part of the August Theatre Breaks. Public Rights, Ancestral Wrongs was in the May Theatre Breaks and Jersey Tails was chosen for the February festival. I wrote two episodes (127 Minutes and A Deadly Trifle) of a 12-part sitcom called Marshal’s Law - created by Jason Attar and Niall Towl - which was broadcast on Sky in 2012 and 2013. A 50-minute version of How Does That Make You Feel? was shortlisted for the Channel 4 Oran Mor Comedy Drama Award. 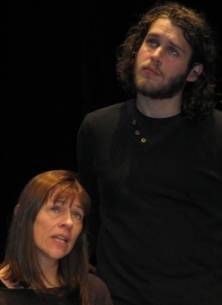 A stage version of Jersey Tails was part of Insignificant Theatre's Rough Readings, and Chasing Beckett, had a six-night run at The London Theatre. How Does That Make You Feel? was in an inaugural scratch night organized by the Accidental Collective at the Marlowe Studio Theatre in Canterbury. 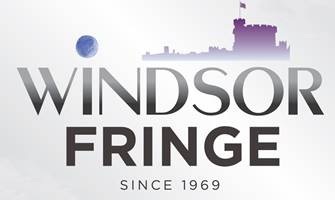 It was long-listed for the Windsor Fringe Kenneth Branagh award for new drama writing, and was part of the Arundel Festival and TheatreLab's Scratch Weekend at the Shaw Theatre in London. It also won the annual Congleton one-act play festival, was part of Insignificant Theatre's Rough Readings, and made the reserve list for the Lost Theatre one-act play festival. I had comedies in Insignificant Theatre’s Speakeasy monologue evenings in August, and the March Theatre Breaks. Blood Match, was long-listed for a BAFTA Rocliffe New Writing Forum in 2010. 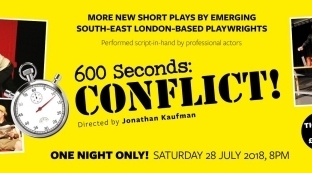 In 2011 a full-length play, Blackout, was selected for a reading by Script Readers at the Theatre Royal East Stratford, and one of my short plays was given a reading by Scriptspace at The Space. 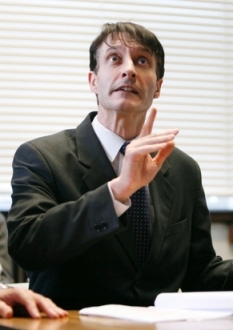 RealDeal Theatre featured different episodes of the sitcom Armanie Briefs in their Sitcom Saturday events at Westminster Library (2008/9). 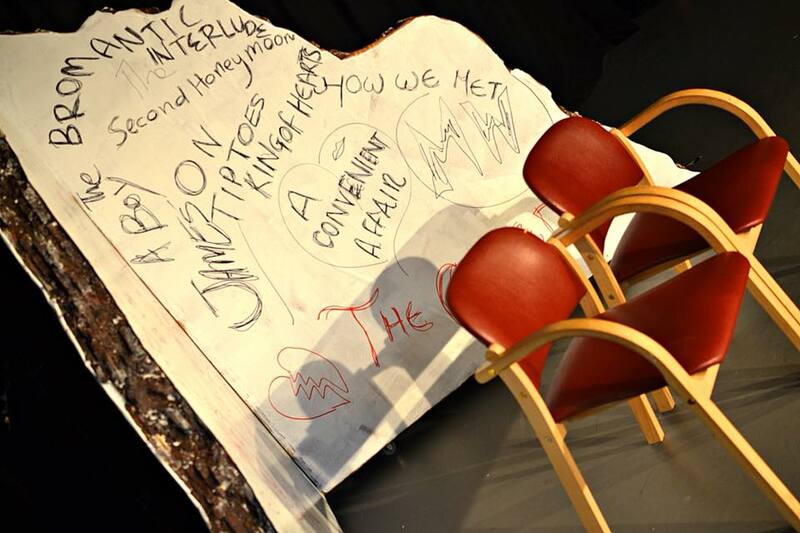 An extract from one of my plays was part of Artists Anonymous’ Page to Stage readings at the Jacksons Lane Theatre in 2010. Blackout and Chasing Beckett, had rehearsed readings with Nameless Theatre in its One Night Stand season in 2009/10. In 2008 I was twice a finalist in the Zeitgeist Theatre’s Grand Slam evenings of short comedy plays at the Bedford in south London. 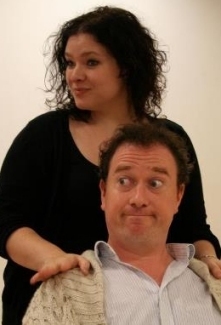 Two sitcoms - Troubleshooters and Monster Biscuits - which were taken on for development by the award winning Comedy Unit, made the finals of the Sitcom Trials at the Soho Theatre in 2007, and Fringe Report awarded joint first place to Troubleshooters. I co-wrote a sketch show/revue called Cold Turkey, which had runs at the Charles Cryer Theatre and the Brockley Jack Studio Theatre. My first full-length play, Payback, won a new-writing competition at the Brockley Jack Studio Theatre and was given a three-week run. “John Hill’s Payback slams the world of middle-class sofa-sitting with more punchlines than the TV sitcoms it is obviously upstaging.” - South London Press. I'm a journalist and travel writer, and write and photograph the travel website DayTripsToEurope. If I had any free time I’d only waste it. To stop this address being auto-harvested by spammers, the @ symbol has been replaced by *at*, please restore the @ when replying. "In my opinion the real star of the show was John Hill’s writing. The gags are funny, the story is believable, and the plot points are bold. Hill’s use of subtext is subtle and clever, blending two conversations at the same time… With an extra boost this play would not feel out of place on E4..."